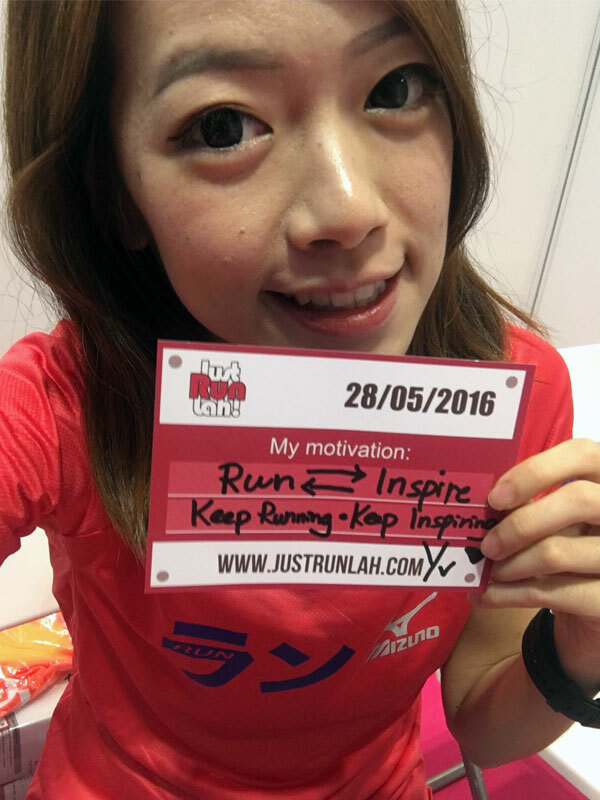 #TranscendYourself: I run and I feel better! | JustRunLah! 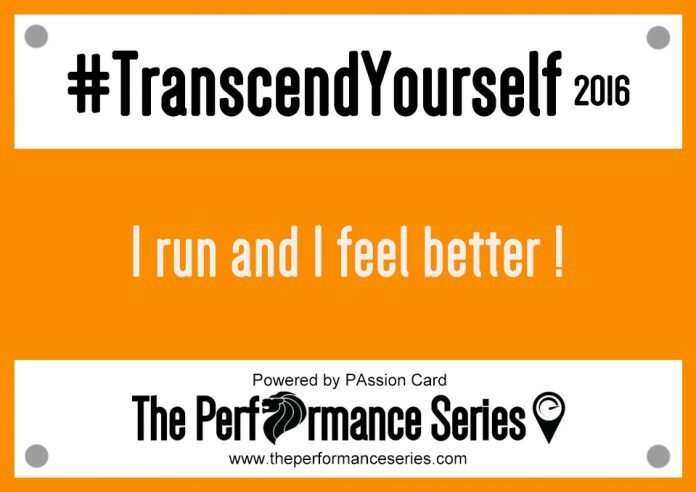 #TranscendYourself: I run and I feel better! JustRunLah! 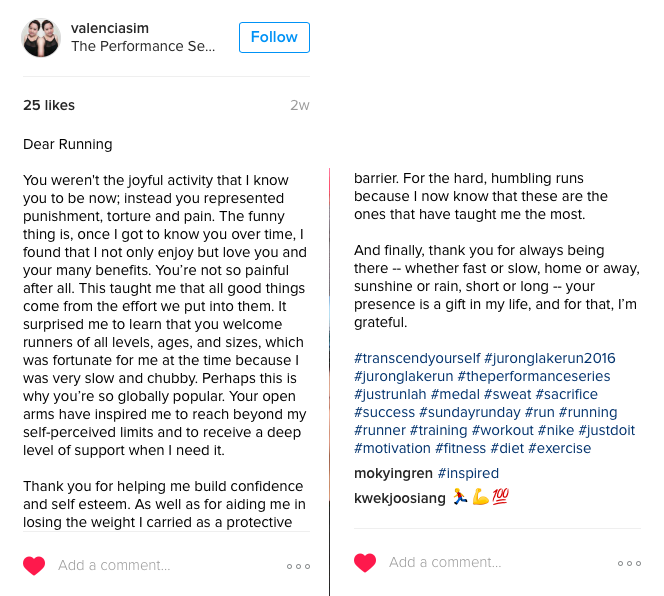 : How running changed you? Valencia: Running has taught me that all good things come from the effort we put into them. Seeing people around me have in fact inspired me to reach beyond my self-perceived limits and to receive a deep level of support when I need it. This had helped me build confidence and self-esteem. As well as aiding me in losing the weight I carried as a protective barrier. For the hard, humbling runs because I now know that these are the ones that have taught me the most! 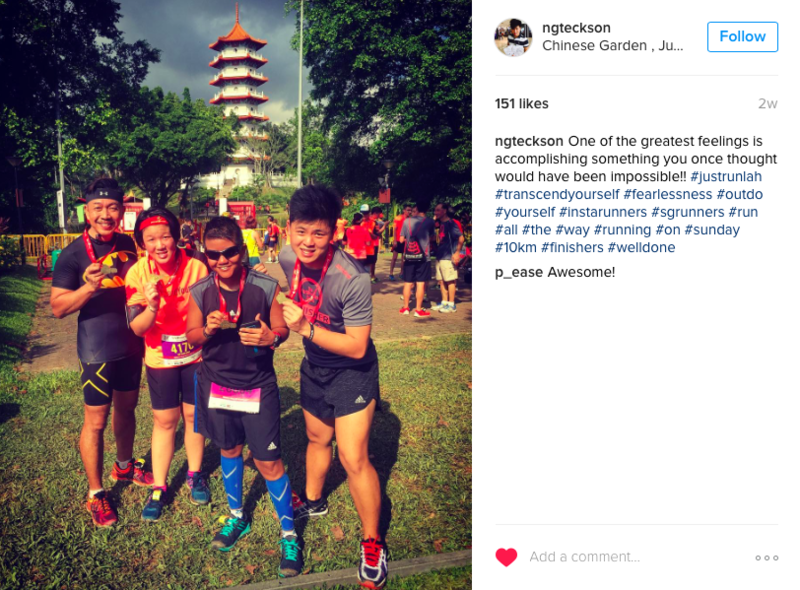 Teck Son: Running has become my savior as well as my sanity! Besides that, running literally saved my life and my career. I realized running not just only helps me become fitter and healthier, but also helps to release all my worries. It helps me to build my confidence, know my strengths and weaknesses. Furthermore, I used to run alone, but I’m no longer running alone. 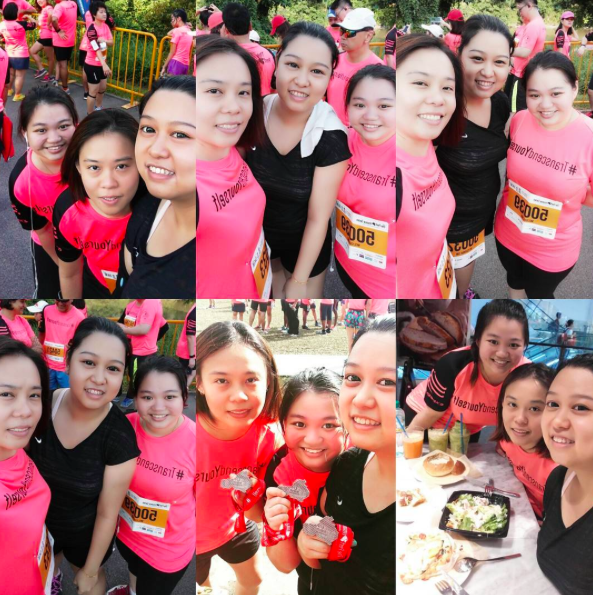 I run with a group of friends. We share our experience, have more time to catch up! Running is really good for our soul. In life, we cannot always choose what we do, but we can always choose what kind of a person you want to be. Love running love yourself! Rosalie: Running change me a lot from inside and outside. When I came to Singapore, I was not a sports minded, and I was a shy person and a loner. But when the first time I joined a race, I thought I would stop because my job is 9 hours standing in front of a customer and facing everyday difficult people but I changed my mind. I become “addicted” and running has become my favorite sports! Running is my “outlet” if I’m stressed. I just run and I have no more negative vibes after run. RUNNING IS AWESOME! 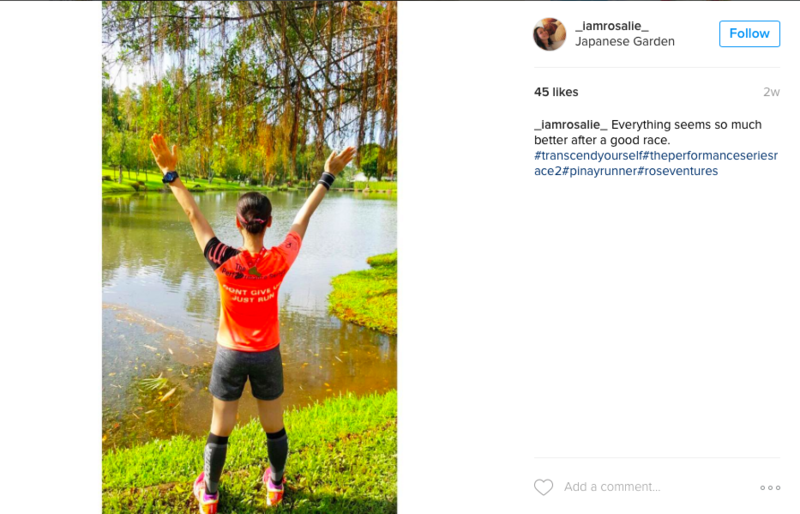 Juana: Running is my therapy. It gives me the confidence I once lost. I begin to love myself more after I picked up running and everything else just falls into place. I am not fighting to be better than anyone. As long as I don’t give up and continue running, to me, I AM ALREADY A WINNER! 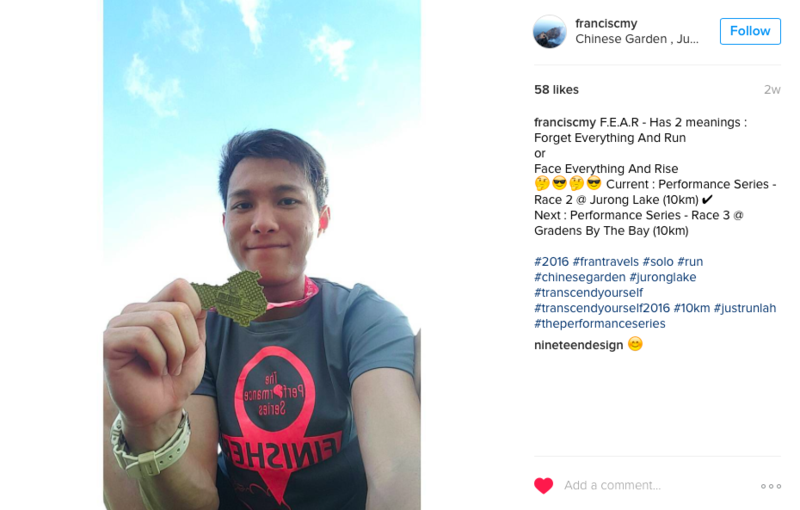 Francis: Running is like one’s journey through life. It’s never about the distance I have to clock, but rather about the journey I have been through. Having to cope with in a stressful working environment, running helps to keep my mind sharp, releases my stress and allows me to have better quality sleep. So now I can’t stop running as I’m convinced to create the best journey for my life. 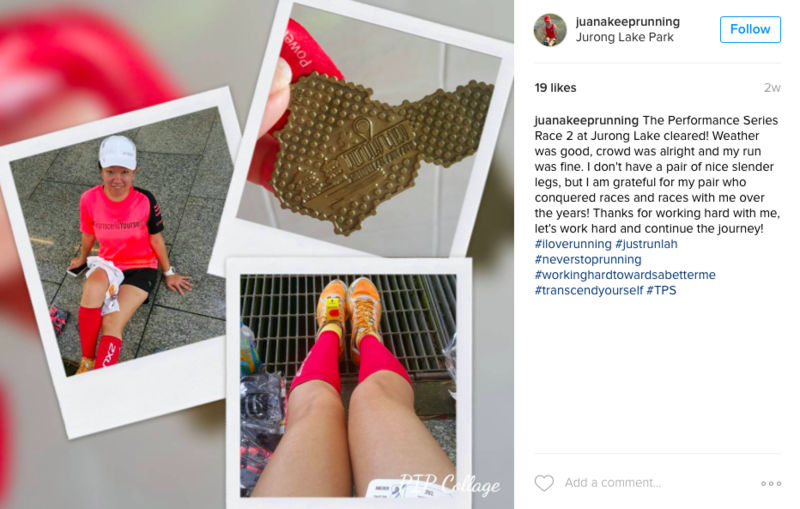 “Congratulations” to the finishers and “Thank You” for sharing these awesome feelings with JustRunLah! readers! You make us proud! Inspired by them? It’s never too late to make a change! 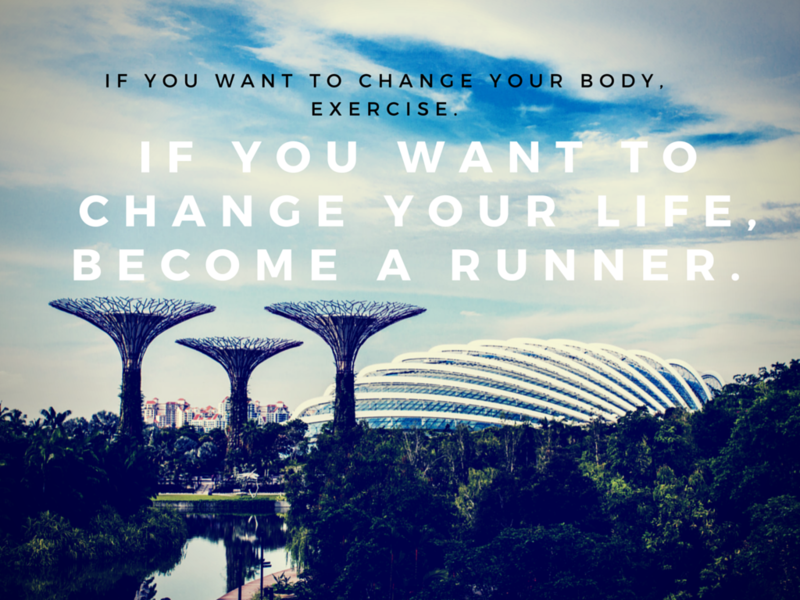 Run with us at The Performance Series Race 3: Garden by the Bay on 7th August 2016! Continue inspire and surprise us by tagging #TranscendYourself.